Welcome Home... To A Renewed Awareness of Love. CelestialRealm.com was created to assist in providing Perfect Clarity to the teaching of Jesus Christ, straight to the alter of every human heart. His teachings here are given in a new way, a bridge of perfect clarity from the old understanding as recorded in the bible, to his new present day teachings of the truth. The foundation of His teachings today is His book called, "A Course In Miracles"... which he has now spent just over 12 years reading, instructing, coaching, and illuminating the messages of its pages, with the help of a brother, Paul Tuttle. To learning more about the details of how all this unfolded, visit the link: "Jesus Teaches ACIM". "A Course In Miracle", given, received, and later published in 1975. Now followed up here by His supplemented audio and video teachings as He reads the book. And provided as Jesus instructed, this work is being done through a sister foundation called Northwest Foundation for A Course In Miracles. 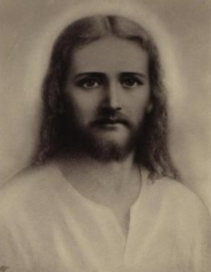 Jesus commented about the clarity in another ACIM Study Group held 11/7/2002: "Do you know that I love you, all of you? And so I talk straight with you [today] so that you won’t suffer from confusion, and won’t think you’re doing everything that needs to be done when you’re only doing half of what needs to be done. What This Site Is Not: It is not some kind of new religion, teaching, or theology trying to find followers. We have enough of these. Nor is it not simply more words that insist to one degree or another, that you just blindly believe what others say, or even what is said here, that somehow God will reward you. Thus as a Holy Child of God, we encourage you to question as you have every right to question... to seek clarity and thus a life in Perfect Alignment with the Love of Christ within every child of God... How could your Father want anything otherwise and still be a God of Perfect Love? Why Now? and Where Is The Proof of Its Authenticity?Reflecting on history, every Christian and most non-christians, knows that those seeking controversy find it. Back when Jesus taught 2000 years ago, most sought and found controversy. In fact, as we all know, they were so convinced that Jesus was not who he claimed himself to be. Even though Jesus himself was a Jewish Rabbi, those in power felt threatened by this 'new age teaching' that brought clarity to the Jewish Testament of God [now called Old Testament]. Thus, they did what they thought would stop the threat. Now we fast forward to today... "As Jesus promised in the scripture quoted above," that he will one day provide 'perfect clarity' to all that he taught them. And it is here where ACIM comes to life. Like reading the bible, the 'work of the Holy Spirit' does the work when we are open to exploring and curious more about learning of God's Love for us. Thus, like the bible, ACIM will ultimately be proved through your experience, just as it was for Jesus’ disciples and those who followed Jesus in the very beginning. Jesus now continues in present day time, on Sept. 9th, 2007, during one of His ACIM Study Group, we quote, "Aren’t you glad I’m not couching this teaching in mysterious language? I couldn’t be any more utterly clear than I’m being. And it makes it simpler for you. And with that, I will say Good Night. And I Love you—Love you all." "The Second Coming of the Christ is the coming of your Conscious Awareness of Yourselves as what You Divinely Are Right Here. Then I can appear, because my appearance will not distract you from Yourself. So surprise! The Second Coming is going to occur And You're It!" Release The Veil - Go For The Kingdom Within!